Just wanted to give everyone a heads-up that over the next few days, DeKorte Park's Shorebird Pool (the tidal impoundment by the Environment Center) will be drained so that construction folks can check the pilings that support the Marshview Pavillion. 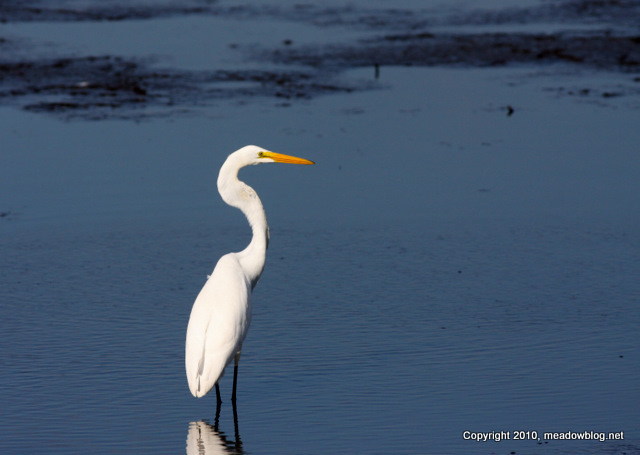 The water levels could be low for up to a week, which might make the Shorebird Pool a great fishing spot for egrets at certain times of day. If you bring a spotting scope, you may be able to see the Least Bittern along the shore by the Marsh Discovery Trail toward the Transco Trail. The water levels were lowered for several weeks last September to shore up the pilings. The current work is a routine check on those pilings. There'll be free guided walks on the Marsh Discovery Trail (otherwise closed to the public) on Tuesday and Thursday, and we will be sure to look for the bittern, water levels permitting. On Sunday's Native Plant walk, along came a spider that we could not identify. Not to worry. The walk's leader, Edith Wallace, was on the case. 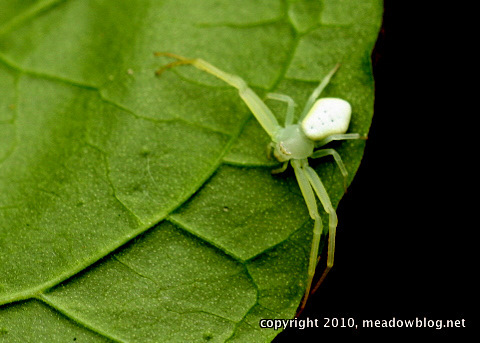 An expert pal of hers passed along a link about the Goldrenrod Crab Spider, which — as it turns out — is even more amazing than we had thought. 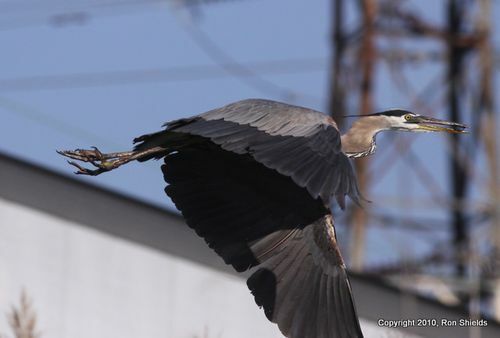 Ron Shields writes: "Here are some pics of Tuesday's trip into the Kearny Marsh. 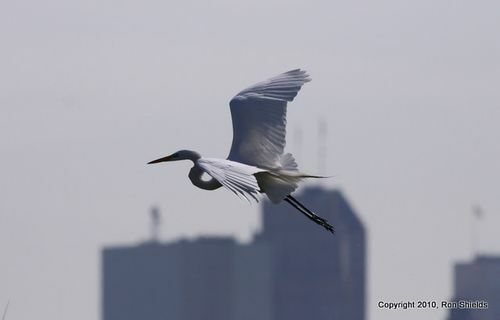 "The photos depict a Common Moorhen (one of two adults), a Great Egret with the Newark skyline in the background and one of several Great Blue Herons (that's the Route 7 bridge in the background). 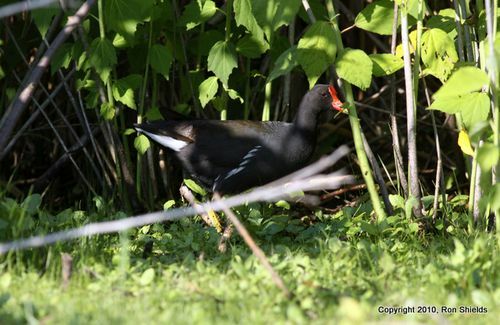 "The Common Moorhen was accompanied by at least two chicks who disappeared into the reeds before I could get a good shot. We had a report over the weekend of a man with a net trying to catch butterflies near one of the parking lots at DeKorte Park. If you see anyone trying to catch butterflies, please tell a security guard. The Meadowlands Commission has been working hard to attract more and more butterflies to DeKorte Park for the public's enjoyment and education — not for people to take with them. Butterflies at DeKorte are free, but not for collecting. Thanks for your help on this.